Styled with lincoln pant and leonard blazer . Size XS of this colour will ship close to Jun 6, 2019. Learn More about special orders. This is a triangle bralette with an elasticated bottom band and adjustable straps. This version of the Justin is made with an Italian stretch jersey that's soft and comfortable. It fits just a tad big, but other than that it’s exactly what I need! 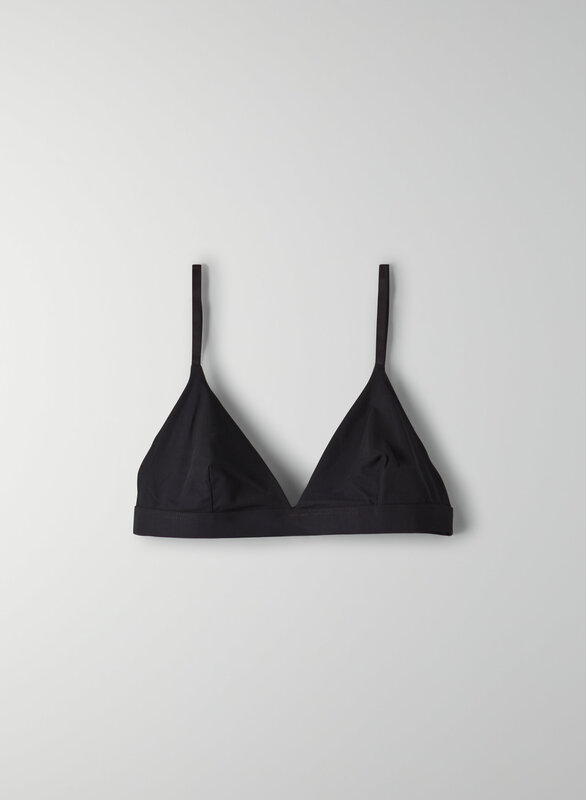 I love the aritzia bralettes and this one is a must. The material is very nice and like the colour choices.